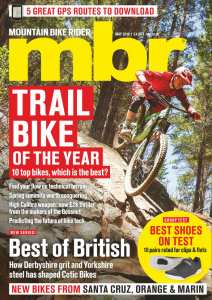 Are mountain bike hand guards the ‘next big thing’? Have you ever been riding through a woodland trail when a stray branch has thwacked your hand against the bar? It doesn’t half hurt, especially on a cold day when you can barely move your fingers anyway. 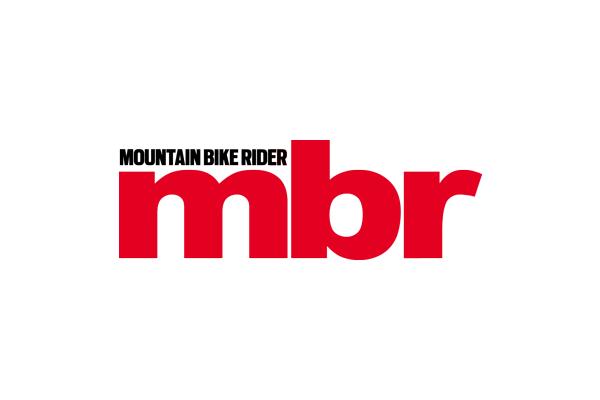 >>> Is the dropper stem the next big advancement in mountain bike technology? Well a French inventor may just have found a solution with his new AVS mountain biking hand guards. The hand guard is piece of plastic that is attached to your handlebar and lies over the top of your brake lever. 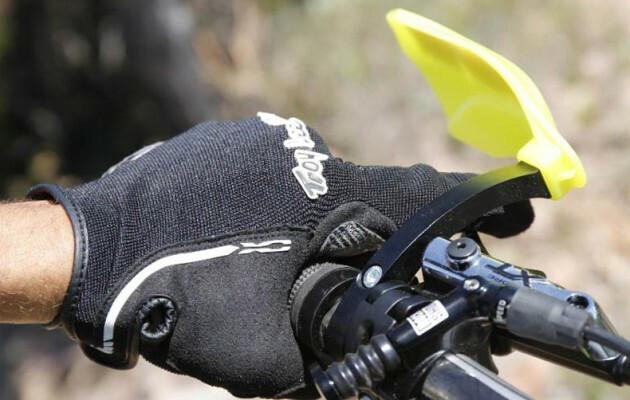 The design is fairly commonplace on moto-cross bikes to protect your hands from flying debris but as far as we’re aware this is the first time they’ve appeared on mountain bikes. It may be easy to mock the flimsy looking design and the fact that it adds even more clutter to your handlebars but Nico Vouilloz has been pictured using them at the EWS and if it’s good enough for him it’s probably good enough for us. As it stands a starter kit will cost you €55 (£41.13) with replacement guards costing €27.50 (£20.57) a pair -there are a load of colour customisation options available though. So what do you think? Will we all be using hand guards in the near future or is it just another misguided entrepreneur?